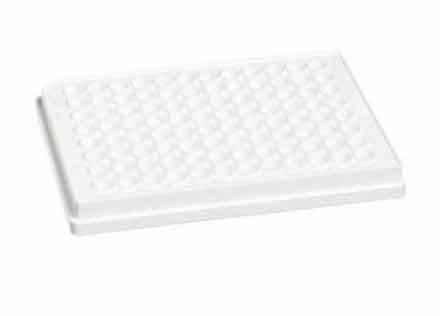 • White Opaque Flat-Bottom 96-Well Plate, Nonsterile, with Lid, for Luminescence Assays. • White opaque flat-bottom 96-well plate. • Nonsterile, with nid, for luminescence assays.